WE SCHEDULE CLASSES EVERY DAY BETWEEN 8:00AM AND 10:00PM! WE ARE OPEN ON SATURDAY AND SUNDAY! Feel free to contact us any time to individually schedule your group or private class :info@crazysalsa.net or 300.561.9428, (5).660.1809 ! 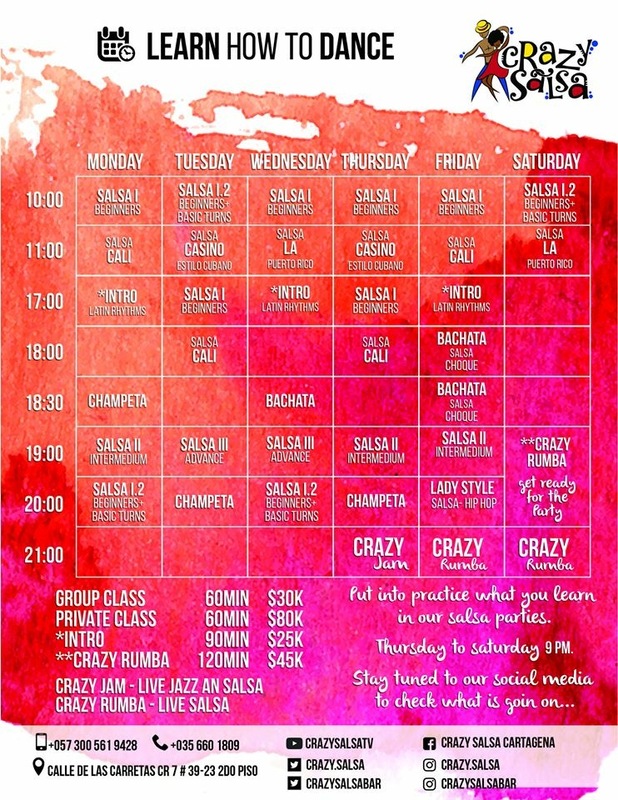 Our timetable offers you the all the flexibility you need to combine your latin dance classes with any other activities you want to do in Cartagena and around.